Gone to the Birds – What’s it all about? In honor of our 45th anniversary, RCAP Solutions has Gone to the Birds! 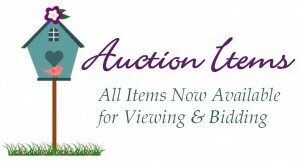 This unique fundraising campaign will feature a birdhouse and art auction to raise funds and build awareness of RCAP Solutions, the programs we offer and the clients we serve. While RCAP Solutions offers many types of programs supporting individuals, families, communities and small businesses across the northeastern U.S., the funds raised for this event will support our Client Resources Programs, which assist local families throughout Worcester County. Why Should You Consider Supporting This Event? Fundraising has become vitally important for our organization. The need for our services is growing on a daily basis, yet program funds are shrinking. More and more families are in need of emergency shelter and other critical services. The need is real, record numbers of homeless families are straining the state’s shelter system, with over 4,000 families finding temporary housing in motels and shelters across the state. RCAP Solutions works with hundreds of families each year, providing the necessary stabilization services for those in need, in order to keep them safe, healthy and in permanent housing. Birdhouses provide temporary, protective shelters for birds while they nest and raise a family. The very idea of birdhouses conjures up images of family, safety and conservationism, a perfect bridge to promoting RCAP Solutions’ goal of providing safe and affordable housing for our clients. be auctioned at the Gala. This theme provides a blank slate for artists to creatively express what “home” means to you. Your artwork can include any type of medium ranging from decorated birdhouses to photography, jewelry, paintings, sculptures and more. This theme resonates with everyone and will produce a product that everyone will want to see, support and be a part of. Please click here for Artist information and to donate artwork to this campaign. Please click here for Gala Tickets.